Meet Andy and Gertrude both of whom recently experienced the healing touch of God through the ministry of Addison Adamu and Freedom House Church International. Our Mission is to fulfill the Great Mission through television, Divine Healing Crusades, International Missions, Regular Healing Services, Conferences, Charity, Schools Evangelism, Prisons etc. Jesus has being touching, healing and winning countless number of people through our daily television broadcast "Healing Miracles" across America and the world. 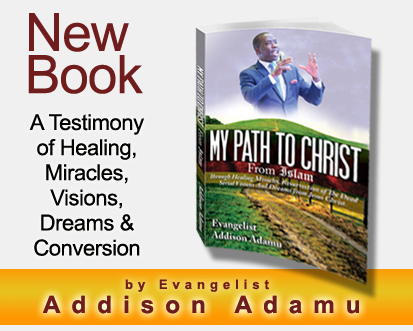 Healing Miracles is produced and hosted by Evangelist Addison Adamu and his wife Twanna Adamu. out to win souls for Jesus. Get information about Freedom House Church International and Evangelist Addison Adamu.. THE TUNNEL from Addison Adamu.